FREE SHIPPING OVER $100 ALL THE TIME! 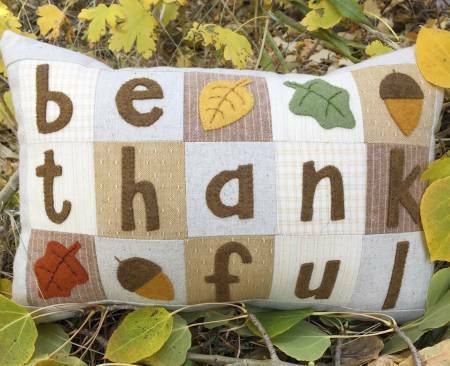 Fabric and floss kit for little Be Thankful pillow from Bareroots pattern #239 Little fall Pillows. Kit includes fabric, wool felts and floss. Pillow Size approx 10in x 8in. Pattern not included.